This post was originally published in June 2016 and was updated in Jan 2019. Please note that the information and images below refer to TimeTec TA software. However, this particular module/ feature is also available in TimeTec Patrol and TimeTec Leave with the same rules and functionality, hence you can also use this as reference for all three abovementioned softwares. 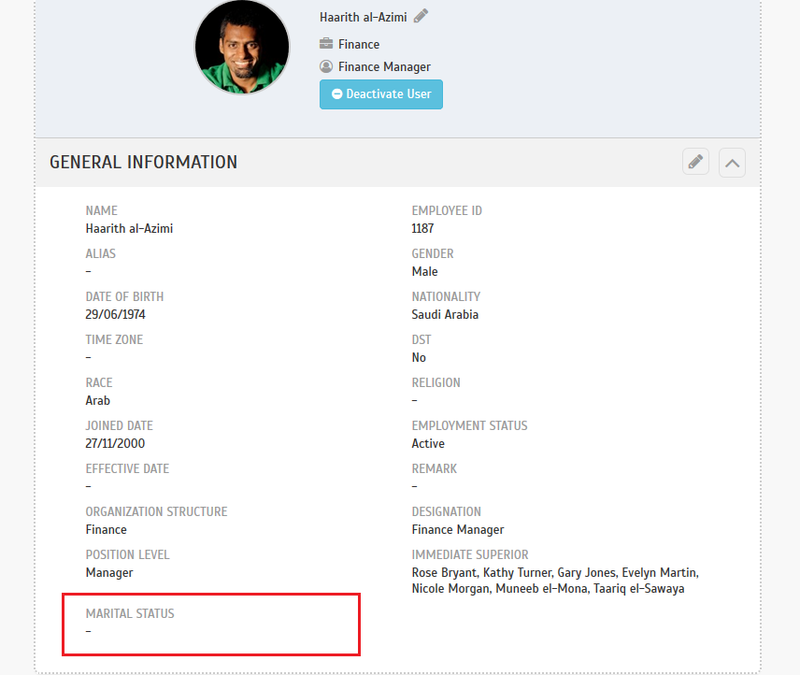 TimeTec TA has launched a new feature which conveniently allows the admin to add data fields in the user profile layout. Some companies require different types of information. TimeTec TA System Admin will be able to customize accordingly the additional data fields to match company preconditions in the user profile layout and determine the viewing rights between admin views and normal user views. 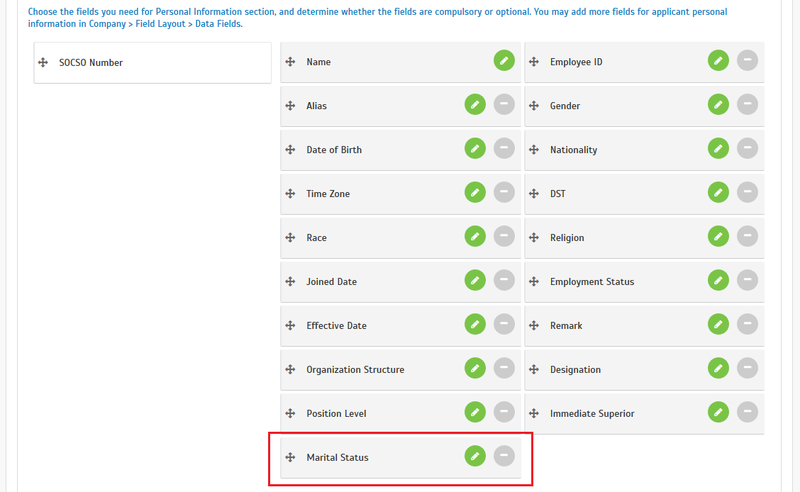 Set the additional data fields you require, for example Marital Status, Insurance No., Passport No, Spouse Name, etc. 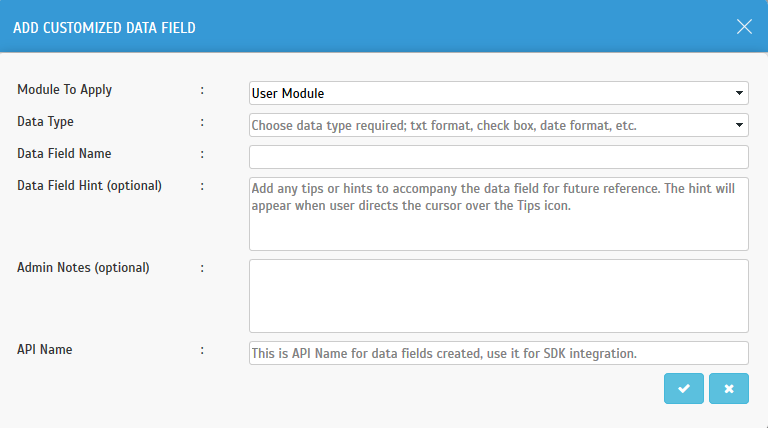 Step 1.3 > Data fields created will be displayed in the Profile Field to be included in the layout settings. The data field you created should appear here. 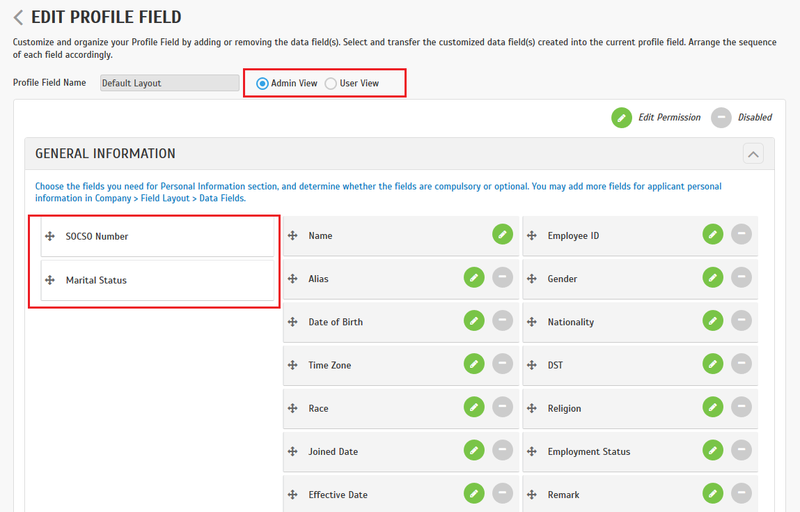 Select the data field and apply them to the Default or a new Profile Field. Once completed, you can assign users to the profile. User view will be limited to the Profile Field assigned to them respectively. Note: One user can only be assigned to one profile field. Displayed on the right column (Circled in Red), is the default fields available in this Profile Field. 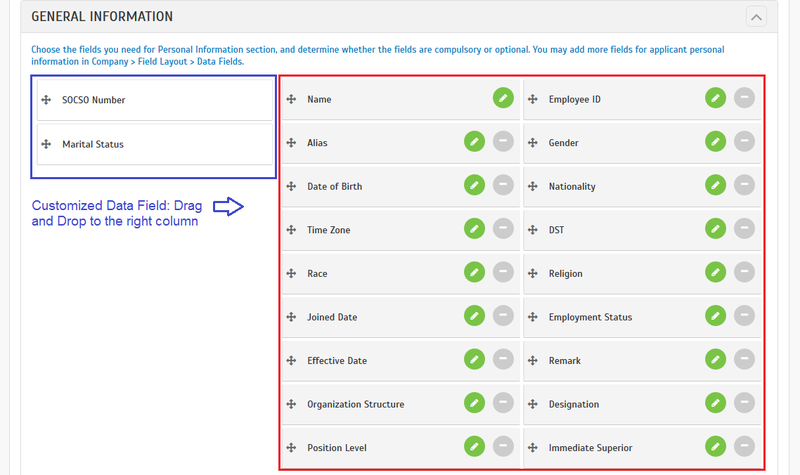 Displayed on the left column (Circled in Blue), is your Customized Data Field that can be added into the Profile Field. > Drag and drop any required data field from the left column to the right column. > You can also remove data fields from the right column using same method (drag and drop to the left column) or clicking on the Disabled button.